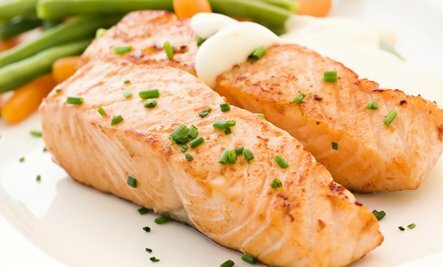 Season salmon fillets on both sides with lemon pepper. In a large skillet, melt butter over medium high heat. Stir in garlic. Place salmon in pan. Cook for 10 minutes per inch of thickness, or until fish flakes when tested with a fork. Flip fillets halfway through cooking to brown on both sides. Sprinkle with lemon juice before serving. No comments for: "Lemon Garlic Salmon Recipe"